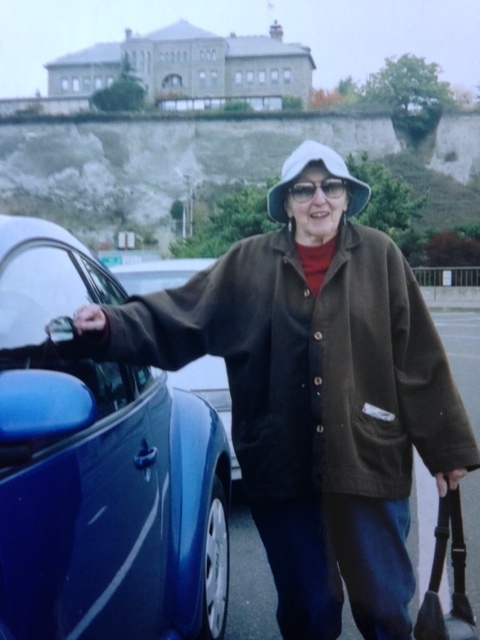 Dorothy Gilmore waiting on the ferry at Port Townsend, on the way to the SAH/MDR annual meeting in Bellingham, 2005. Photo by Ken Guzowski. Dorothy Gilmore passed away contemplating her husband’s “Our Place, ‘61” oil painting at her beloved home and deer park in the south hills of Eugene, Oregon during the 2015 Spring Equinox. Dorothy, and fraternal twin Donald, were born in 1922, in Seattle, Washington, to parents “H.C.” (Harold C.) and Dorothea (Haskin) Hanson. H.C. Hanson was a prolific marine architect and engineer responsible for designing and supervising construction of numerous Pacific Northwest work boats, including commercial fishing and fisheries management vessels, tugs, barges, war-time minesweepers, patrol boats, and pleasure boats. The reputation of his boats for grace and seaworthiness, and his pioneering adaptation of welded-steel construction to work-boat design, resulted in adoption of his plans for working vessels well beyond the Pacific Northwest. Dorothy’s experiences drafting for her father’s marine design business on Seattle’s Coleman Dock during her teens, and later drafting for Boeing during World War II, prepared her well for a career in architecture during a time when more women were entering the field. Inspired deeply by the design and educational philosophy of W.R.B. Willcox at the University of Oregon School of Architecture and Allied Arts, Dorothy earned her Bachelor of Architecture degree in 1950, after graduating with a B.A. in 1944. Dorothy’s marriage to fellow Architecture student Philip C. Gilmore (1921-1996) in June 1948, kept her actively perpetuating the Willcox legacy in her practice, family and social life, and with their cohort of Pacific Northwest architects and artists, until her passing. For decades, conversations about architecture and art, experiences and ideas, teaching and thorny aspects of design projects peppered Dorothy and Phil’s conversations and informed their architectural practices. While Dorothy occasionally crafted the fine detailing for Phil’s design projects, from the 1960s into the 1990s, Dorothy took the design and supervisory lead on numerous residential remodels and original designs in western Oregon, especially in Eugene and on the Oregon Coast (including their residences), and especially for women clients. A pair of noteworthy 1970s Eugene examples include the remodel of an early 20th century two-story Craftsman style wood frame house on E. 19th to accommodate the Book and Tea book store and kitchen, for clients Mary Faust and Patricia Clift. The second example, the Phyllis Kerns House in the Laurel Hill Drive area, placed Kerns’ whimsical interpretations of space in the conceptual frame of a historical one-story hip-roofed vernacular house type with wraparound veranda that had taken Dorothy’s fancy when she spent 1968-69 in Tasmania, Australia, exploring its architectural history. Her designs characteristically synthesized historical and contemporary architectural features, precariously balancing decorative flourishes with functionality, while emphasizing clean lines, formal clarity, and structural lightness; they invited light in and views out to engaging vistas. During the height of her architectural practice, Dorothy also mentored several women architecture students, and served as an adjunct architectural design professor, at the University of Oregon. In 1974 Dorothy was appointed to serve on Eugene’s first Historic Review Board. She was proactive in seeking protection for significant historic buildings and landscapes as City of Eugene Historic Landmarks or for nomination to the National Register of Historic Places. Her knowledge and appreciation of Eugene’s architectural legacy, whether historical or innovative designs, places with special social histories, or the work of known colleagues and mentors, motivated her to preserve old Eugene especially in response to the losses that urban renewal had wrought downtown beginning in the ‘60s. Also in the 1970s, Dorothy contributed to Phil’s University of Oregon sabbatical year project to audiotape interviews that Phil organized and conducted with former students of W.R.B. Willcox. Willcox had joined the U of O’s Department of Architecture as Dean in 1922, and continued to influence and interact with students after his 1942 retirement until his death in 1947. Dorothy helped Phil organize these recordings and supporting documentation for deposit at the University of Oregon Libraries’ Archives. These interviews provide an understanding of Willcox’s architectural theories and educational philosophy as described by these students of the modern era of architectural design, and demonstrate Willcox’s continuing influence in the Pacific Northwest’s architectural legacy. Gilmores’ and colleagues’ commitment to the Willcox influence inspired numerous salon-like social gatherings well into the 21st century, leaving their mark on later generations of Pacific Northwest architects, designers, artists, and their offspring. Dorothy was active in the Marion Dean Ross Chapter of the Society of Architectural Historians and served as secretary-treasurer from 1974 through 1982. She enthusiastically attended regional meetings on a yearly basis throughout the Pacific Northwest for over forty years. Dorothy’s cheerful outlook, imagination, and sense of humor, allowed her to encourage the best in other people and work effectively with her clients. Open eyes and an open mind, as well as a keen appreciation for architectural heritage, theory, and detail, characterized her curiosity of the world around her and found expression in graceful, innovative, and functional designs for complex architectural landscapes. Dorothy is survived by her three children, Janet, Andy, and Ben Gilmore, Janet’s husband Jim Leary, and grandchildren Bella and Finn Leary. Wallace Kay Huntington, A.S.L.A., distinguished landscape architect and past president of the regional chapter of the Society of Architectural Historians (S.A.H. ), died at home in Portland on February 3, 2015, at the age of eighty-eight. He was born in Salem, Oregon, on May 15, 1926, the son of Hollis Huntington and the former Marjorie Kay. His maternal forebears were founders of Salem’s most enduring enterprise in woolen manufacturing, the Thomas Kay Woolen Mill Company. His great grandfather, Thomas Lister Kay, a native Yorkshireman, was a leading figure in Oregon’s pioneer woolen industry. Huntington is survived by his sisters, Shirley and Crystal Huntington of Venice, Florida, and Portland, Oregon, respectively. His late wife, one-time S.A.H. board of directors member Mirza Dickel, was remembered in online “Chapter News & Notices” following her death in December, 2012. Mirza Dickel and Wallace Kay Huntington accepted the Marion Dean Ross Chapter Distinguished Service Award for their roles as past officers and advisers of long standing during the annual conference in Portland in 2009. Photo by Elisabeth Walton Potter. After serving in the United States Navy 1944-1946, Huntington attended Willamette University for a year and, in 1947, transferred to the University of Oregon School of Architecture and Allied Arts. He graduated in 1952 with a Bachelor of Arts degree in Architecture with concentrations in the History of Art and Landscape Architecture. Like many who followed him as students of art history at the School, Huntington was inspired by the lectures of Marion Ross, a Pennsylvania State and Harvard University-educated architectural historian recruited to the faculty in the same year Huntington arrived on the campus. The two became life-long friends. Professor Ross encouraged his former student’s active participation in the Society of Architectural Historians. Upon graduation, Huntington lived in San Francisco and traveled extensively in Europe before returning to Oregon. He spent some time in his hometown with the Doerfler Nursery before settling in Portland, where he joined William Roth as principal in Huntington & Roth, Landscape Architects and Planners, in 1958. Some twenty years later, with Craig Kiest, he formed the firm of Huntington & Kiest, in which he remained active for the rest of his life. 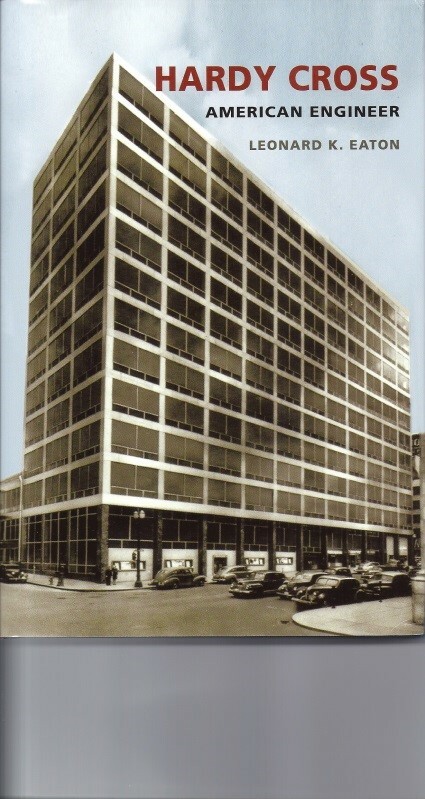 For a number of years, while maintaining independent practice between partnerships, Huntington lectured at Portland State University, wrote a column for the Northwest Magazine of the Portland Oregonian in 1984-1985, and commenced consulting on many of the important early historic preservation projects of the region. He was a professional affiliate of the American Institute of Architects and member of the American Society of Landscape Architects, for which organization he chaired the Oregon chapter’s Historic Preservation Committee 1975-1976. He was sought after as a member of advisory bodies for the Portland Art Museum, Portland Beautification Association, University of Oregon Museum of Art, and the Oregon Historical Society. In 1970, Huntington was appointed by Governor Tom McCall to the first State Advisory Committee on Historic Preservation created as a professionally-credentialed review panel under provisions of the federal-aid program authorized by the National Historic Preservation Act of 1966. Huntington was reappointed to the state review panel and served a second three-year term ending in 1976. Thereafter, he was tapped for the Capitol Planning Commission’s Technical Advisory Board. He served as an Oregon advisor for the National Trust for Historic Preservation. Well-known to regional researchers are Huntington’s essays on Victorian architecture and historic parks and gardens of Oregon in the two-volume work, Space, Style and Structure: Building in Northwest America, edited by Thomas Vaughan and Virginia Ferriday (Portland: Oregon Historical Society, 1974). With Allen Denison, he co-authored Victorian Architecture of Port Townsend, Washington (Seattle: Hancock House, 1978). In the period 1972 to 1974, Huntington was presiding officer of the Society of Architectural Historians regional jurisdiction then known as the Northern Pacific Coast Chapter. Before its reorganization in the 1990s, the chapter counted members in the San Francisco Bay Area and northern California as well as Oregon, Idaho, Washington, and British Columbia. Over the years, he presented papers ranging from Victorian gardens and bedding out to John Yeon, the influential, innovative modernist, as landscape designer. 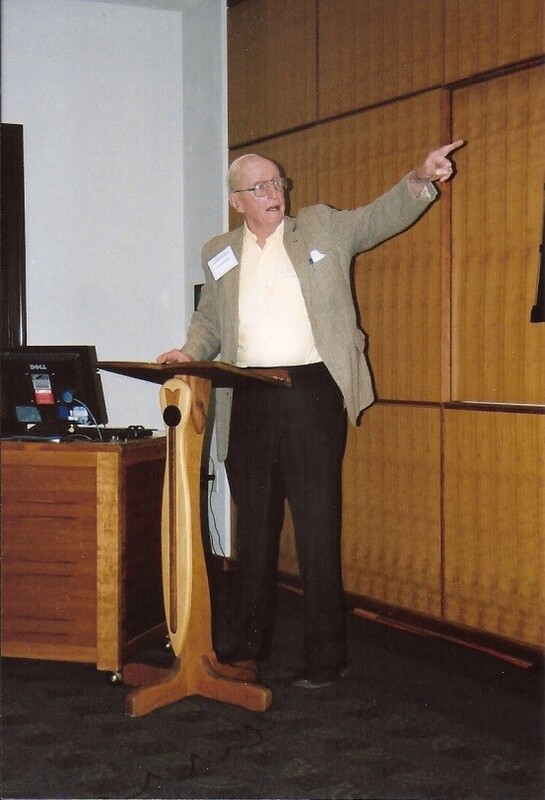 In Eugene, during the fiftieth anniversary meeting of the chapter in 2004, Huntington gave the keynote address on the legacy of his late friend and mentor, chapter founder Marion Dean Ross, for whom the chapter had been renamed in 1995. Ross also had been among the founders of the Society, which was organized at Harvard in 1940. 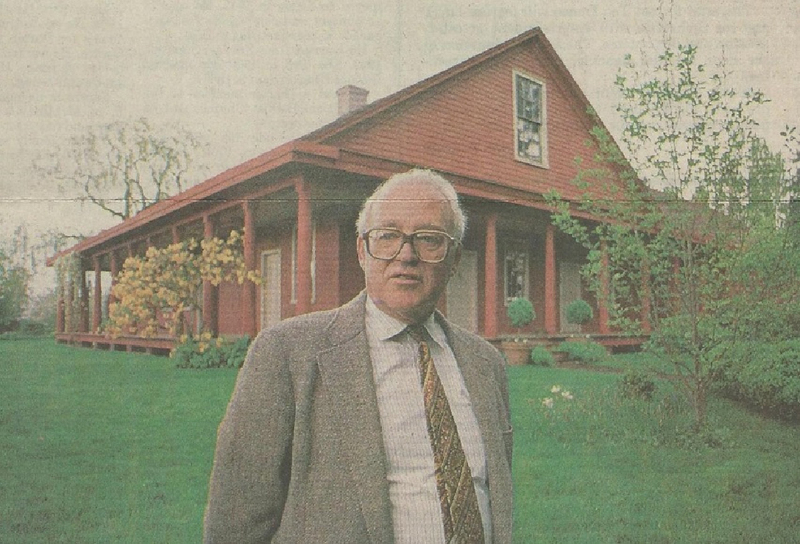 Wallace Kay Huntington at his restored home, the William Case House in the vicinity of Champoeg. Ron Cooper Photo, Statesman Journal, Salem, Oregon, April 25, 1990. In 1977, Huntington acquired the 1859 farmhouse built by William Case in Oregon’s mid-Willamette Valley. With its peripteral colonnade, the building was a sizeable, superbly-crafted and original interpretation of Greek Revival architecture. The restoration which ensued, with chapter members Charles Gilman Davis as architect and Mirza Dickel as interior architect together with master carpenter Lyle Warren, was recognized in 1979 with a preservation award from the Oregon Chapter, American Institute of Architects. Case farm became home base for Huntington and Dickel upon their marriage. To historic trees and shrubbery remaining from the historic period were added hardy native plant materials and varied ornamental specimens. Perfecting the outdoor garden spaces which provided a setting for the house became Huntington’s long-term pastime, which he prized equally with his frequent travels abroad with Mirza. In 1988, the duo hosted a memorable dinner and open house at Case Farm for members of the Society’s United States Domestic Study Tour in the Willamette Valley. Subsequent visiting colleagues, Grant Hildebrand and Miriam Sutermeister, were inspired to embark on a thorough-going documentation of the historic farmhouse which they published in 2007, assigning copyright to the S.A.H. regional chapter under the title A Greek Temple in French Prairie: The William Case House, French Prairie, Oregon 1858 -’59. As designer or master-planning consultant, Huntington had a hand in restoration projects at such prominent historic sites and house museums as the William Keil House at Aurora; Thomas Kay Historical Park, Asahel Bush House, and Dr. Luke Port House (“Deepwood”) in Salem; Pittock Mansion, Portland; Bybee-Howell House, Sauvie Island; and, in Washington state, Sam Hill’s Maryhill Museum, Goldendale, and Officers’ Row, Fort Vancouver National Historic Site. He consulted on revisions to the gardens of “Elk Rock,” the historic Peter Kerr estate in Portland which was adapted as the Bishop’s Close for the Episcopal Diocese of Oregon. Huntington admired the intimate compartmented gardens of Elizabeth Lord and Edith Schryver which influenced the kind of elegant urban residential landscapes in which he specialized. The principals of the pioneer woman-owned landscape architectural firm founded in Salem in 1929 were his personal friends. They had encouraged his early practice. In 1980, Huntington was asked to update the garden which Lord & Schryver designed for the Portland Garden Club in 1955. Noteworthy among his honors was the Ruth McBride Powers Award for Lifetime Achievement in Historic Preservation conferred by the Historic Preservation League of Oregon (now Restore Oregon) during the Governor’s Conference on Historic Preservation in 1996. The Bosque, The Oregon Garden, Silverton, 2009. Huntington joined with the Oregon Association of Nurserymen and other professionals to plan The Oregon Garden, a botanical garden on the southern outskirts of Silverton that would become the showplace and educational and research center for the Willamette Valley’s burgeoning horticultural industry. The master plan was completed in 1996 and the following year ground was broken for development envisioned to encompass 240 acres ultimately. The Bosque, a tree-shaded central plaza around which a variety of specialty gardens was organized, was Huntington’s particular contribution. The brick parterre centerpiece contained reflecting ponds and a Pacific Sunset Maple centered in each of forty raised planter boxes. As the trees matured, the space became the hospitable resting place for visitors and venue for outdoor gatherings. 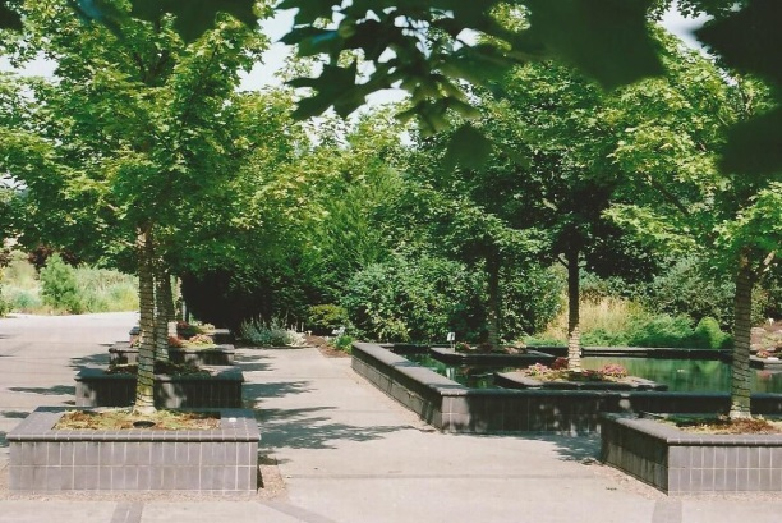 The Bosque was dedicated on September 10, 2000, during an on-site gala in tribute to Huntington, who was recognized on that occasion for excellence in his field of design as well as his part in laying the foundation for the preservation movement in Oregon. Obituary, Statesman Journal, Salem, Oregon, Feb. 15, 2015. Available online by clicking here. Jim Jordan, “Bulldozing,” Daily Journal of Commerce, Portland, Oregon, Oct. 21, 1981. Ron Cowan, “Salem landmarks lost: Historian gives talk Thursday,” Statesman Journal, Salem, Oregon, April 25, 1990. Photograph by Ron Cooper. The Marion Dean Ross Chapter, SAH, respectfully reports the passing of long-time members as information becomes available. Following are notes on two distinguished academic members who are genuinely missed. Please see citations for the more detailed sources. Mark Sponenburgh, photo courtesy of the Monuments Men blog. Mark Ritter Sponenburgh, sculptor, art historian, and educator, died at his home in Yachats on the central Oregon coast on December 6, 2012 at the age of ninety-four. A native of Michigan, he studied at the University of Michigan, Cranbrook Academy of Art, Wayne State University, and elsewhere before enlisting in the U.S. Army in 1942 after the United States entered World War II. During the war, he served with the Corps of Engineers cartography section of the 9th Engineers Command. When hostilities ended in Europe in 1945, he volunteered for service in the Monuments, Fine Arts, and Archives program (MFAA) which, under auspices of the Allied Armies, was dedicated to recovering works of art confiscated by the Nazi regime. Upon his return from Europe 1946, Sponenburgh joined the faculty of the University of Oregon School of Architecture and Allied Arts. His tenure there of eleven years encompassed teaching and research fellowships in Egypt and London. He was elected a Fellow of the Royal Society of Arts. In the early 1950s, he revised the University’s graduate program in Sculpture and initiated a ground-breaking course sequence, the History of Sculpture. In 1957, his name first appeared on the membership roster of the Pacific Section of the Society of Architectural Historians. His faculty colleague, architectural historian Marion Dean Ross, was a regional organizer of the Society. In the same year, Sponenburgh left the University of Oregon to assist the government of Pakistan in creating a National College of Arts in Lahore. Forty years later, in 1997, he established an endowment fund at the University of Oregon in support of graduate student research and a lectureship on sculpture. “Town and Gown,” by Sponenburgh. Photo courtesy of the UO Architecture and Allied Arts Website. Following the death of his first wife, Huguette Ozanon, in Paris, Sponenburgh returned to Oregon in 1962 to establish a program of Art History at Oregon State University at the invitation of fellow MFAA veteran, Gordon Gilkey. Sponenburgh then married Janeth Hogue Russell. While at Oregon State University he continued traveling and lecturing abroad. After his retirement from the faculty in 1983 he remained active as a museum consultant. Sponenburgh and his wife, Janeth, who died in 1990, donated their extensive collection of American, European, Egyptian, and Asian art to Willamette University, in Salem, where it spurred formation of the University’s Hallie Ford Museum of Art, which was opened to the public in 1998. The Hallie Ford Museum collections include several of sculptor’s fine works. 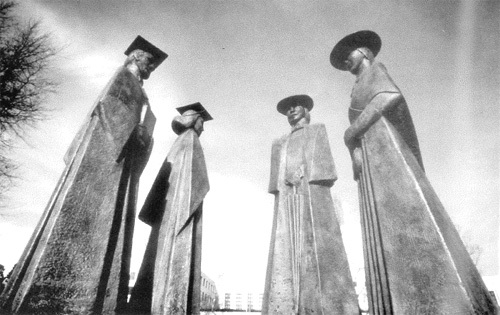 Sponenburgh’s cast bronze figural group, “Town and Gown” (1991), stands near Waller Hall on the Willamette University campus. Obituary, Register Guard, Eugene, January 10, 2013. “Happy Birthday to Monuments Man Mark Sponenburgh,” The Monuments Men Website blog, June 15th, 2010 (source of portrait photo). “Mark Sponenburgh, artist, faculty member, UO donor, dies,” University of Oregon School of Architecture & Allied Arts Website, Thursday, January 3, 2013 (source of photo of “Town and Gown” cast bronze figural group). Charles Rhyne. Photo courtesy of the Oregonian. Charles S. Rhyne, Professor Emeritus of Art History at Reed College, died in Portland on April 14, 2013 at the age of eighty-one. He is survived by his wife, Barbara, their three children, and four grandchildren. A native of Philadelphia, Rhyne gained his undergraduate education at Wittenberg College in Springfield, Ohio, and at Temple University’s Tyler Art School. His post-graduate work at the University of Chicago focused on social philosophy and art history. In 1960, he joined the faculty of Reed College in Portland, Oregon, where he taught Art History until his retirement in 1997. Early in his tenure he was a Fulbright research fellow at the Courtauld Institute, London. Subsequently, he was a visiting fellow at the Yale Center for British Art; a Kress senior fellow at the Center for Advanced Study in the Visual Arts at the National Gallery of Art; and a visiting scholar at the Getty Conservation Institute, Getty Research Institute, and J. Paul Getty Museum in Los Angeles. At Reed in 1989, he introduced a seminar on the theory and practice of conserving works of art. In 2012, for his contributions to the conservator’s discipline, Rhyne was accorded special recognition directed to professionals in allied fields by the American Institute for Conservation (AIC). 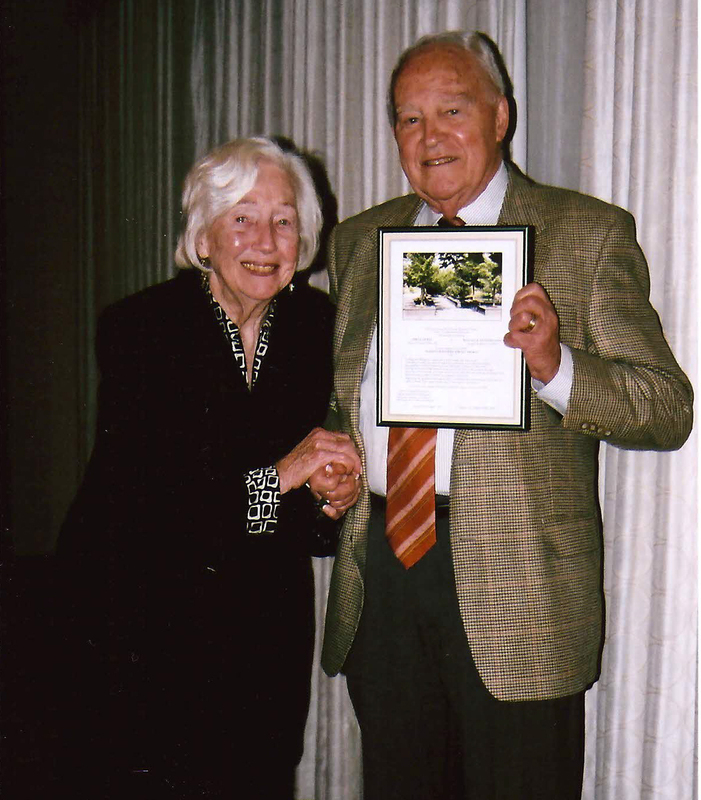 The Northern Pacific Coast Chapter, SAH, met at Willamette University in Salem, Oregon, in May, 1978 to celebrate the sixty-fifth birthday of Professor Marion Dean Ross and present the founder with a Festschrift in his honor. Among speakers at the memorable assembly was Charles Rhyne, who offered “Structure and Aesthetic Effect in Pacific Northwest Bridges,” a paper emblematic of the author’s wide-ranging interests. Throughout his career, Rhyne was an active photographer. 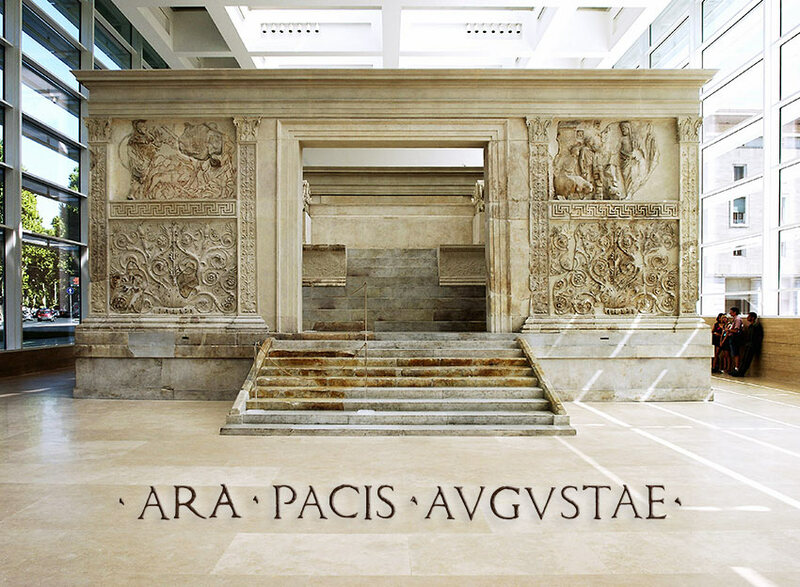 One of three major Websites he maintained with digital imagery for in-depth visual documentation, study, and analysis focuses on the Ara Pacis Augustae, the sacred monument to the Pax Romana of the Augustan era. The altar was built in 13-9 BCE in the open air of the Campus Martius in Rome. It was moved and reconstructed under Mussolini’s regime in 1937-1938, and moved again to a new museum designed by Richard Meier & Associates and opened to the public in 2006 as the Museo dell’Ara Pacis. Rhyne’s Ara Pacis Augustae Website, as well as those concerned with architecture of the Getty Center and restoration and imaging of Mayan archaeological sites on Mexico’s Yucatan peninsula, is enlightening and visually rewarding. “Reed College’s Charles Rhyne recognized for work on art conservation,” blog for OregonLive.com, by David Stabler of The Oregonian, July 3, 2012. Obituary, The Oregonian, Portland, April 17, 2013 (source of portrait photo). Mirza Dickel and Wallace K. Huntington were honored for their roles as officers and advisers of long standing with a Marion Dean Ross Chapter Service Award, which they accepted at the annual conference in Portland in 2009. Photo by Elisabeth Potter. Mirza Dickel, distinguished interior architect and leader of the regional chapter of the Society of Architectural Historians died in Portland on December 8, 2012 at the age of ninety. She was born Mirza Jane Baumhover on October 31, 1922 and was raised in Portland. She entered the University of Oregon School of Architecture and Allied Arts, where she received a B.S. degree in architecture in 1947. She is survived by her husband, Wallace Kay Huntington, her son, Paul Dickel, architectural designer of Dallas, Texas, and her sister, Nancy Lee Andersen. Mirza’s career of more than fifty years as an interior architect was centered in Portland, where her distinctive interiors were noted for a refined modern feeling that complemented contemporary lifestyles. For her life-long standards of excellence, innovation, and commitment to her field, she was named a Master Interior Architect among first recipients of the “Root Awards” presented in varied design categories by Portland Spaces monthly magazine in 2008. In the 1960s, while serving as presiding officer of the Portland chapter of the American Institute of Interior Designers, Mirza joined other consultants brought together by the Oregon Historical Society to restore the Bybee-Howell House on Sauvie Island in its historic farm setting outlying northwest Portland. The Classical Revival landmark was to be the first project in which she collaborated with landscape architect and architectural historian Wallace Kay Huntington. After Wallace acquired the remarkable settlement-era farmhouse built by William Case in the vicinity of St. Paul, Oregon in 1977, Mirza worked alongside his architect, SAH chapter member Charles Gilman Davis, in the restoration that would earn Davis and Dickel a 1979 preservation award from the Oregon chapter, American Institute of Architects. Case Farm became the home of Wallace and Mirza upon their marriage, and it was there, in 1988, they hosted a memorable dinner and open house for members of the SAH Domestic Study Tour of the Willamette Valley organized by Earl D. Layman. Visits to Case Farm inspired chapter leaders Grant Hildebrand and Miriam Sutermeister to undertake their rigorous, illustrated documentation project published to the chapter’s credit in 2007 as A Greek Temple in French Prairie: The William Case House, French Prairie, Oregon 1858-‘59. Through University of Oregon ties, Wallace and Mirza were close friends of Society of Architectural Historians late founding member Marion Dean Ross. They were encouraged by Professor Ross to take active roles in the Northern Pacific Coast chapter. 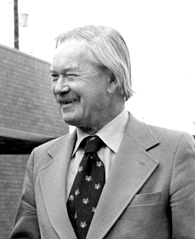 Wallace served as chapter president in 1972-1974; Mirza followed suit in 1980-1982 at a time when California from the Bay Area north was still a part of the chapter’s jurisdiction. For two years, Mirza and secretary-treasurer Dorothy Gilmore arranged the semi-annual meeting schedule, which rotated meetings throughout the entire region, to include extra meetings in California to accommodate members in the Bay Area and hold the chapter together until the time for organizing a separate Northern California chapter was auspicious. Mirza served on the board of directors of the Society of Architectural Historians at the national level in 1982-1984 and regularly represented the region at meetings in the Philadelphia headquarters. For their wise and enduring leadership as chapter officers and advisers, Mirza and Wallace were honored as joint recipients of a Marion Dean Ross Service Award during the annual conference of the Marion Dean Ross/Pacific Northwest Chapter of the SAH held in Portland in 2009. Bridget A. Otto, The Oregonian, Wednesday, December 12, 2012. Lisa Radon, “Mirza Dickel: Master Interior Architect,” Portland Spaces, Dec. 2008-Jan. 2009, 95-97. Elisabeth Walton Potter, Scholars and Sightseers: The Society of Architectural Historians in Northern California and the Pacific Northwest 1954-2004.